The all-new 2018 Subaru Crosstrek gets more global awards this week. In Australia, Crosstrek was named best AWD sports utility vehicle under 45K. In the U.S., the compact crossover was “BestRide of The Year”. 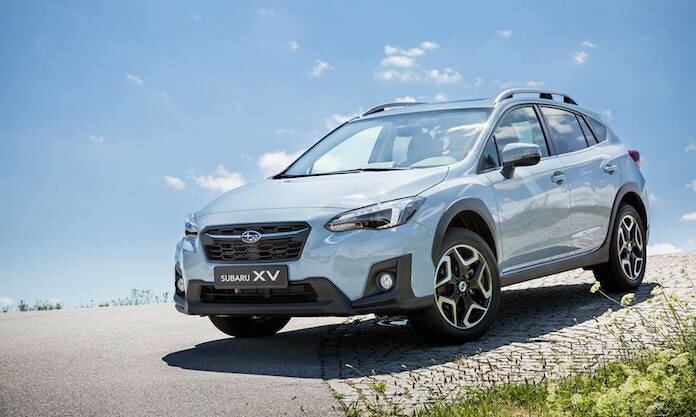 Now in the UK, Crosstrek (XV in global markets) takes home 2nd place in the Safety category at the 2018 annual What Car? Awards. This was the 40th anniversary of the event in the What Car? Car of the Year Awards. It’s a big thing for Subaru in the UK, as they are recognized as having one of the safest cars on the road today. The all-new Crosstrek (XV) comes in second to the Volvo XC60 taking first place in the Car Safety Award. What sets Subaru Crosstrek apart? The 2018 Subaru Crosstrek received a complete remodel and gets the new Subaru Global Platform designed to deliver higher levels of safety performance. According to Subaru, the new architecture improves body and chassis rigidity (front lateral flexural rigidity +90 percent, torsional rigidity +70 percent, front suspension rigidity +70 percent, rear sub frame rigidity +100 percent) and impact energy absorption is improved by 40 percent over the previous-generation models. The second reason Crosstrek gets the award is because of Subaru’s bespoke EyeSight driver-assist safety technology. It works like a second set of eyes using cameras located in the windshield to detect the car’s surroundings, highlighting any potential threats, issues or impending collisions, aiding in a safer drive on and off road. Crosstrek received a 2017 “Best In Class” accolade from Euro NCAP praising the car for its passenger and child safety credentials, topping the findings as the safest car for child occupancy in the 2017 results. Thirdly, What Car? says particularly impressive was the Crosstrek’s clever front passenger seat occupant detection system. The system is able to detect if a rearward-facing child seat is being used, and if one is, it will automatically turn off the front passenger airbag. Safety is a core value for the Subaru brand and each new-generation model will receive the Subaru Global Platform and most recently-updated Eyesight driver-assist safety technology. The 2018 Subaru Crosstrek is the most recent example of the brand’s commitment to safety.